BMW purchased Rover group in 1994, and although it sold most of it by 2000, it retained right to use Mini name. Just upon we entered new millennium new Mini was born, along with a totally new class of posh, premium little cars. New Mini became a legend maybe as same as old one is, and soon its family began to grow. In 2010 subcompact crossover was presented as Countryman and we’ve just witnessed the introduction of the second generation. As with all current Minis, work is not over until they all go through John Cooper Works hands, so 2018 Mini John Cooper Works Countryman is in front of us. 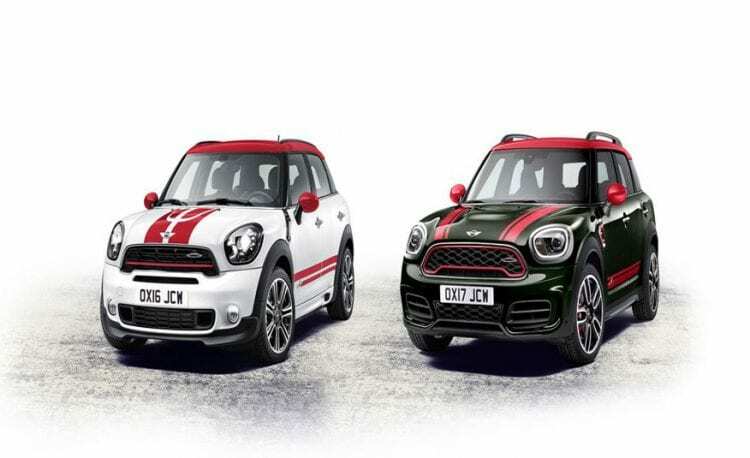 As we know, John Cooper Works stands as sportiest in this case and as we saw the look always follow that idea. That means it will be more aggressive looking than Cooper S, primarily with revised front and rear bumpers and quite more menacing compared to the regular model. It will feature unique lightweight 18-inch wheels with Black Thrill Spoke design, with optional 19-inch sized ones. Behind alloys are red brake calipers with John Cooper Works logo. As usual, a broad array of customization options, which was basically invented by new Mini, allow you to suit it to your tastes and make it distinguishable from others. First of all, new Countryman is substantially bigger than the older model, precisely 6.7 inches longer and 1 inch wider, while wheelbase was extended by 3 inches. This means that one of the shortcomings, interior space, is well fixed in this case and it is obvious straight upon entering it. The boot can carry 450 liters of luggage now and with folded seats that could rise to 1390 liters. 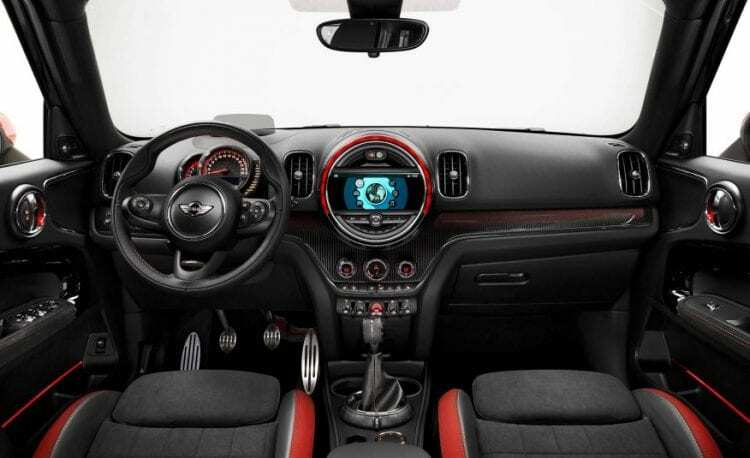 Besides, that cabin is evidently more luxurious using much nicer materials, while John Cooper Works adds extra spice to it. Expect sports seats with red patches, roof lining with anthracite coloring, 8.8-inch infotainment screen partially circled in red and aluminum pedals, among else. This will be the most powerful Mini in history. That is due to the fact that 2.0-liter I4 produces 231 hp, which is an increase of 13 hp over the outgoing model. That is enough to take this Countryman to 60 mph in 6.5 seconds representing nice jump as it is 0.8 seconds faster, while top speed is 145 mph. Maximum torque is 258 lb-ft, and it is available between 1,450 and 4,500 rpm, making this powerband quite satisfying for every day driving. The engine could be paired with the 6-speed manual transmission or optional 8-speed Steptronic sports automatic. Despite really good acceleration time, fuel efficiency is more than decent with 34 mpg combined. Hottest Countryman will carry many gizmos underneath to help it extract most of its performance and provide best driving pleasures. It has TwinPower Turbo Technology together with variable valve control system or VALVETRONIC and variable camshaft control or double VANOS, which we know from BMW’s models. The pressure that turbocharger produce is now increased to 2.2 bars. 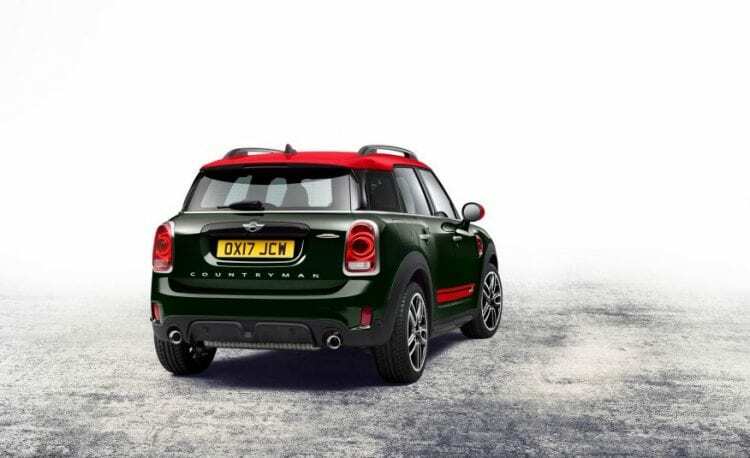 Countryman is stiff and direct in the corners as it is, but in this case, things are going even further with sportier adaptive suspension, which lets you choose between three settings: Sport, Mid, and Green. It comes standard with ALL4 which is in Mini words AWD system that powers front wheels in normal circumstances but can engage rear ones in a fraction of a second when the grip is compromised. 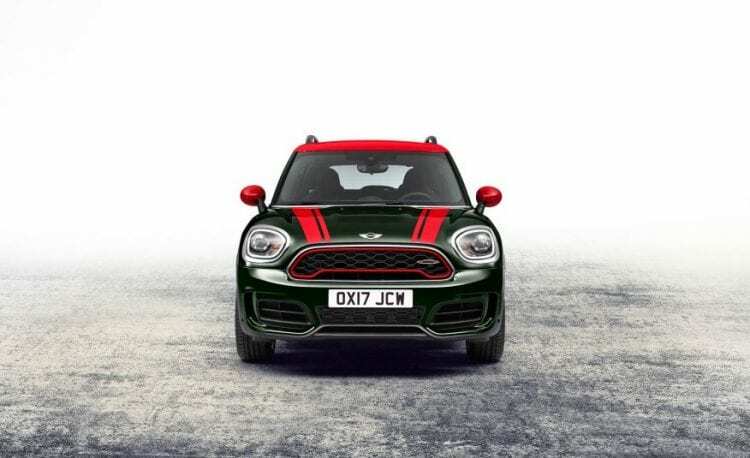 The official presentation of 2018 Mini John Cooper Works Countryman is scheduled for April this year at Shanghai Motor Show, while you can get yours just after that and despite price is not announced yet, expect something around $35,000 which would correspond to the model that is about to be replaced.